The term crystal (Krystallos = ice) comes from the Greek and was already used in ancient times to define the rock crystal. Often it also indicates particularly well-formed individual peaks of various quartz crystals. However, the word crystal has a much broader meaning. A crystal is a solid whose components, ie its atoms, ions and molecules, are not random, but arranged in a very regular structure. Crystals can be of a very variable material composition. Sugar, salt, snow, metals and minerals are examples of crystalline forms. Even gems have a crystalline structure. In 1669 the Danish scholar Stensen discovered the mathematical laws that underlie the always constant angles of gemstones. 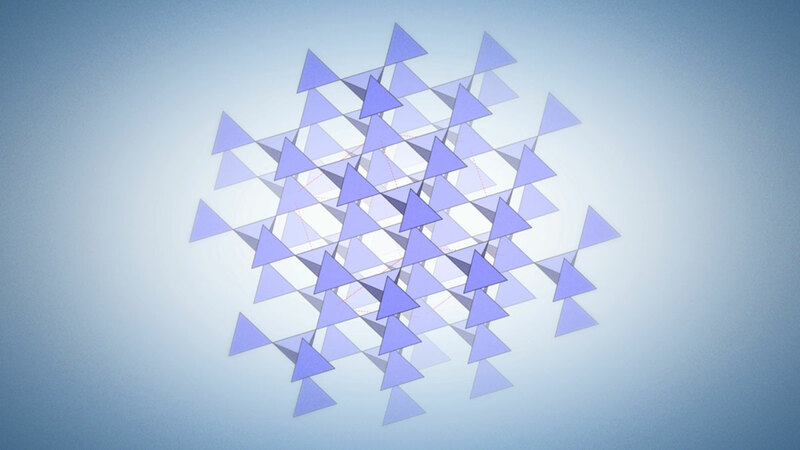 Further research, more than a hundred years later, led to the realization that even the smallest particles are connected to each other in spatially strictly ordered geometric grid structures in each mineral. Meanwhile the knowledge of the crystal structure is one of the most important factors for the classification of minerals. Triangle, square, rectangle, hexagon, rhombus, trapezoid and parallelogram. 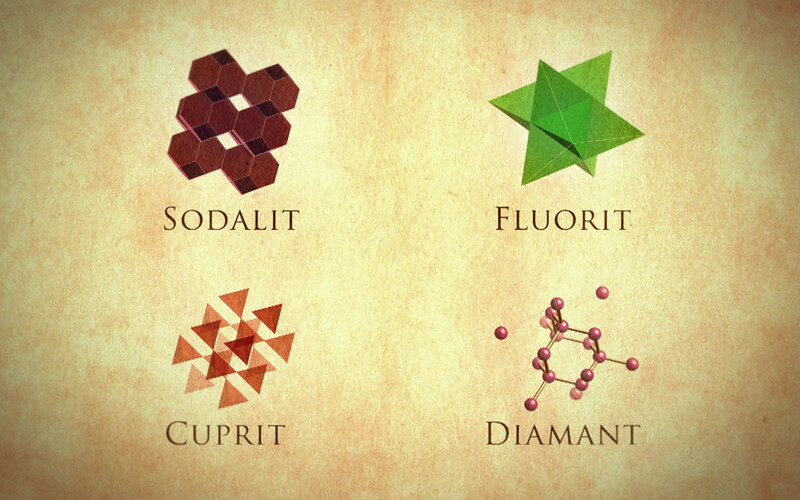 Because of these structures crystals always form only certain forms. Therefore, all crystals can be classified in seven crystal systems. Therefore the triangle establishes the trigonal crystal system. These crystals form either triangular (tourmaline) or doubletriangular, hexagonal columns, but these are not as even as hexagonal or rhomodous forms. Representatives of the trigonal crystal system are rock crystal, citrine, amethyst, smoky quartz, sapphire and ruby and rhodochrosite, calcite and magnesite. The cubic crystal system is based on squares. Cubic minerals can have the shape of a cube (fluorite, pyrite, diamond), a rhombic dodecahedron (lapis lazuli, garnet), a tetrahedron (pyrite), an octahedron (magnetite, diamond, fluorite). The rectangle forms the tetragonal crystal system. Minerals from this group, such as rutile, zircon and Apophylit, form rectangular pillars that can be both flat or end in spikes. The hexagonal crystal system is based on hexagons. Minerals of this group, such as beryl, emerald, aquamarine and morganite form hexagonal columns. The rhombic crystal system is based on diamond-like shapes. Rhombic minerals may form diamond-shaped crystals, as Peridot, Topaz or aragonite, or minerals with six angles,such as Aragonite. The trapezium is the basic form of the triclinic crystal system. Minerals of this group don’t show right angles, but only inclined ones. Important representatives of this group are amazonite, kyanite, turquoise, labradorite and rhodonite. 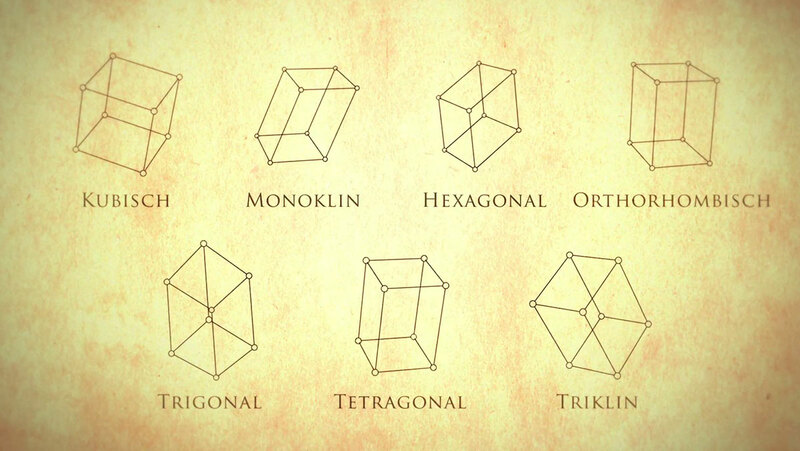 Finally, the parallelogram is the basic form of the monoclinic crystal system. Monoclinic means something like an inclined angle. This group includes selenite, Kunzite, malachite, moonstone, epidote, jade, azurite and lepidolite. Some minerals can’t be classified in any of the above structures and are therefore called amorphous, formless. These include opals, moldavite and obsidian.